Bellkim Energy is R&D-oriented small business established in response to increasing demand of environment-friendly energy systems. We are specialized in design, prototyping, and testing of oil-free turbomachinery with non-contact bearings. Our office and laboratories are conveniently located in Dallas-For Worth metropolitan area, about 20 miles south of DFW airport. 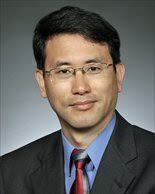 Dr. Daejong Kim is a founder of Bellkim Energy and he is currently a professor in the Department of Mechanical and Aerospace Engineering at the University of Texas at Arlington. Dr. Kim has 7 years of industry experience and he has been a PI or co-PI of numerous funded projects from government and industry. Dr. Kim has been active consultant helping industry in energy systems and small turbomachinery integrated with foil bearings. Bellkim Energy has exclusive license agreement to manufacture foil bearings developed at the University of Texas at Arlington. 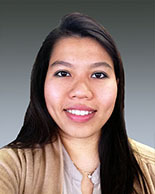 Nguyen holds a PhD degree in Mechanical Engineering from the University of Texas at Arlington and she has substantial experience in design/manufacturing/testing of the air foil bearings and oil-free turbomachiney integration. In her free time, she enjoys cooking, camping, fishing and spending time with her daughter.